From commemorative ornaments to personalized stamps, real estate agents and brokers distribute a plethora of marketing materials to stay top of mind with past and prospective clients. Perhaps the most effective of these think-of-me gifts are those that cater to recipients’ habits or traditions. The Wydler Brothers team — winners of the latest #madREskillz contest — just began using one that certainly fits that bill: branded Starbucks cards. The Bethesda, Md.-based team’s $5 gift cards feature a white-picket fence, sold sign and the team’s logo, positioning it to potentially surface in the minds of some latte-drinking leads on a daily basis. The cards join a variety of other marketing materials that the team distributes to past or future clients, including windbreakers and tape measures. The Wydler Brothers, who are with Long and Foster, have doled out about 50 of the cards over the last month to people who provide the team with their email addresses at open houses, according to Rob Seaver, marketing manager for the Wydler Brothers. The team dishes out the cards through snail mail with personal notes and businesses cards and then follows up with phone calls, according to Seaver. 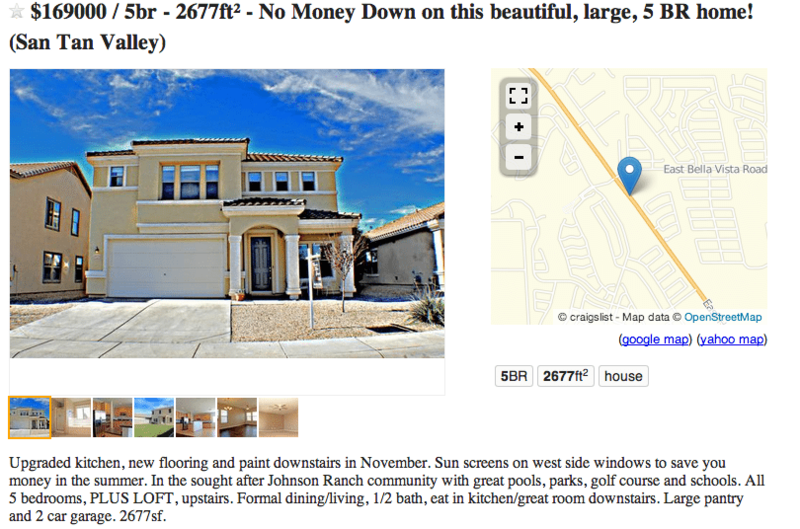 The strategy has helped them nab three previously unrepresented buyers, he said. Showing a sunrise, white-picket fence and sold sign, the card provides space for branding in the lower left-hand corner. 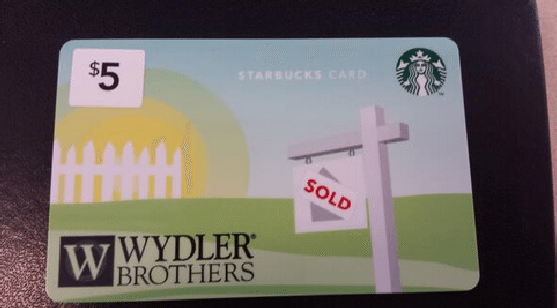 Using an online tool on Starbucks’ website, the Wydler Brothers uploaded an image, positioned it on the card, placed an order for a batch of them, customized a card carrier for the cards, and then paid for them. The minimum cost to implement the strategy is $500: Starbucks requires that you order at least 100 cards, and the minimum card value is $5. After accounting for additional expenses, the Wydler Brothers say it costs them about $7 to send one card. But they believe the money is well spent. “We think the cards helped tilt the scale in our favor if there was another Realtor attempting to work with one of these buyers,” Seaver said. The Wydler Brothers have shown a knack for brainstorming creative marketing ideas. They previously won #madREskillz for pioneering neighborhood drone tours. 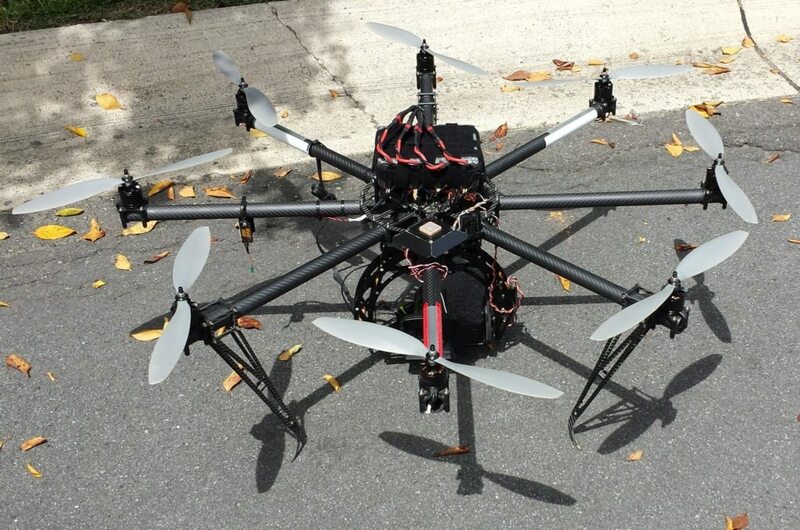 The team said it plans to produce more drone tours this spring.